Genymotion 2.1.0 has been released, the new version bringing some new features as well as support for the latest Android 4.4 KitKat. For those not familiar with Genymotion, this is a fast, cross-platform Android emulator that comes with pre-configured Android (x86 with OpenGL hardware acceleration) images which support multi-touch gestures, Ethernet, emulation widgets for GPS, battery, camera and more. Genymotion is available as free to use but without some features, or with a license (Indie or Business) which enables extra features. Also, all users (both paid and free) can now use the latest Android 4.4 KitKat with the following virtual devices: Galaxy Note 3, Moto X, Nexus 4, 5, 7 and 10. As a reminder, ARM library support and Google Apps were removed from Genymotion due to licensing issues. I have added instructions on adding these back in our initial Genymotion article, which also includes Linux installation instructions. 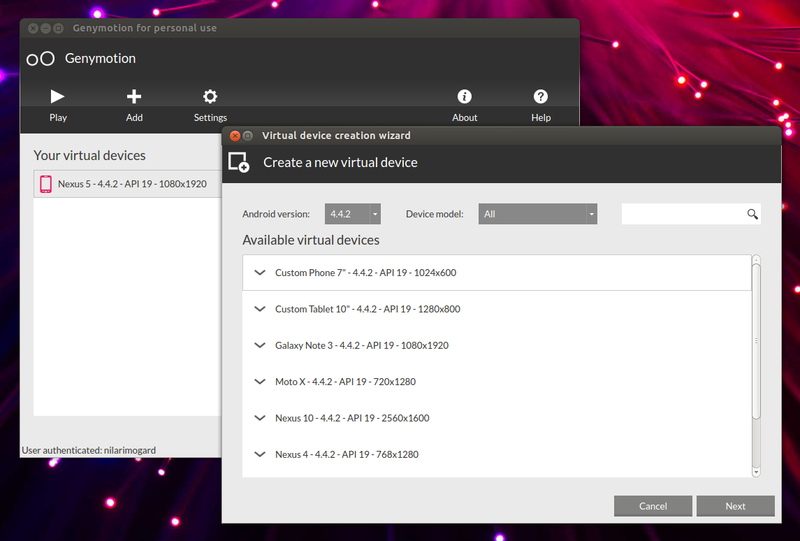 If you're upgrading from Genymotion 2.0.0, you must delete the old virtual devices and create new ones to be able to take advantage of the newly added features and bug fixes. Old virtual devices will continue to work, but without these new features / fixes. 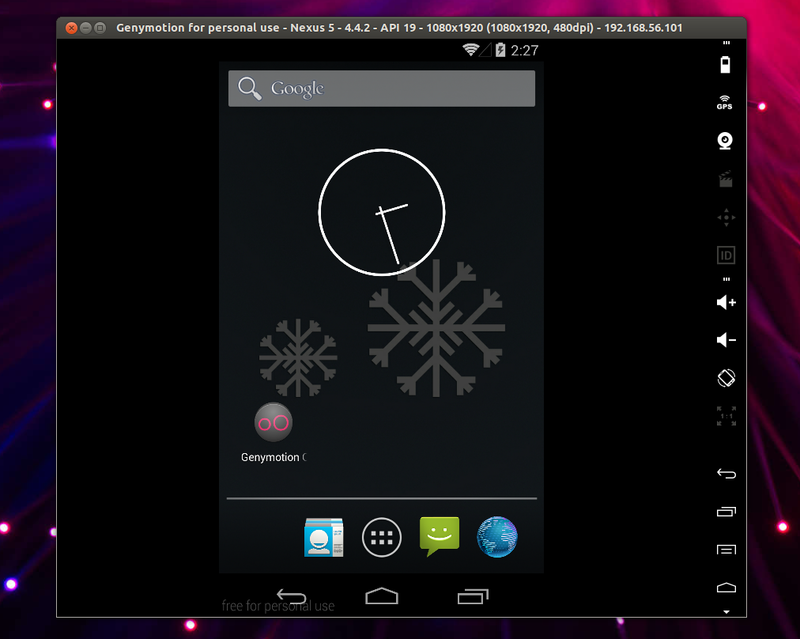 For how to install Genymotion in Linux and get Google Apps and ARM library support, see: Genymotion: Fast, Easy To Use Android (x86) Emulator With OpenGL Hardware Acceleration Support.